Living in Putnam County, Ohio in 1850 (Census page 71). Samuel Kitchen read the Putnam County Sentinel. He was listed as having paid for the Sentinel on Dec. 2, 1880. 1. Census: Ohio, 1850, Putnam County, Ohio. 2. 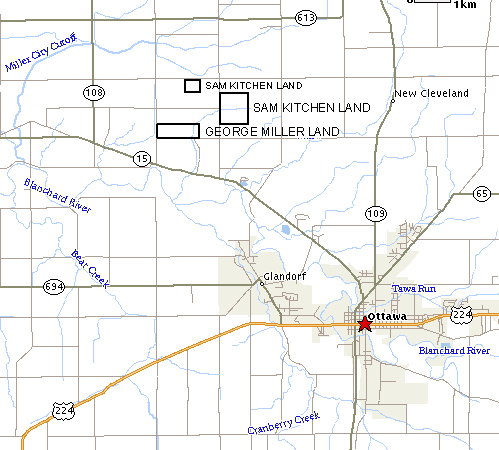 Land: Putnam County, Ohio. The associated map shows the location of land owned by Samuel Kitchen in 1880. 3. Residence: Putnam County, Ohio. 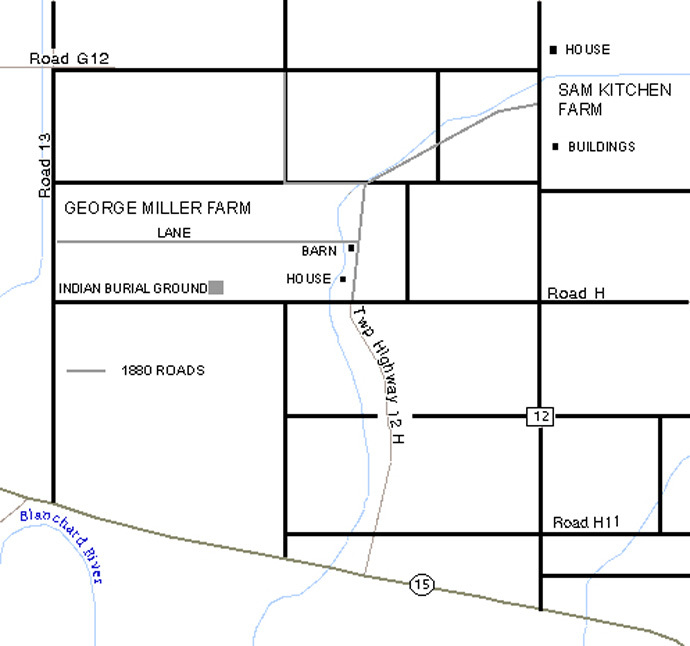 The map shows the location of the house and buildings on Sameul Kitchen's farm.